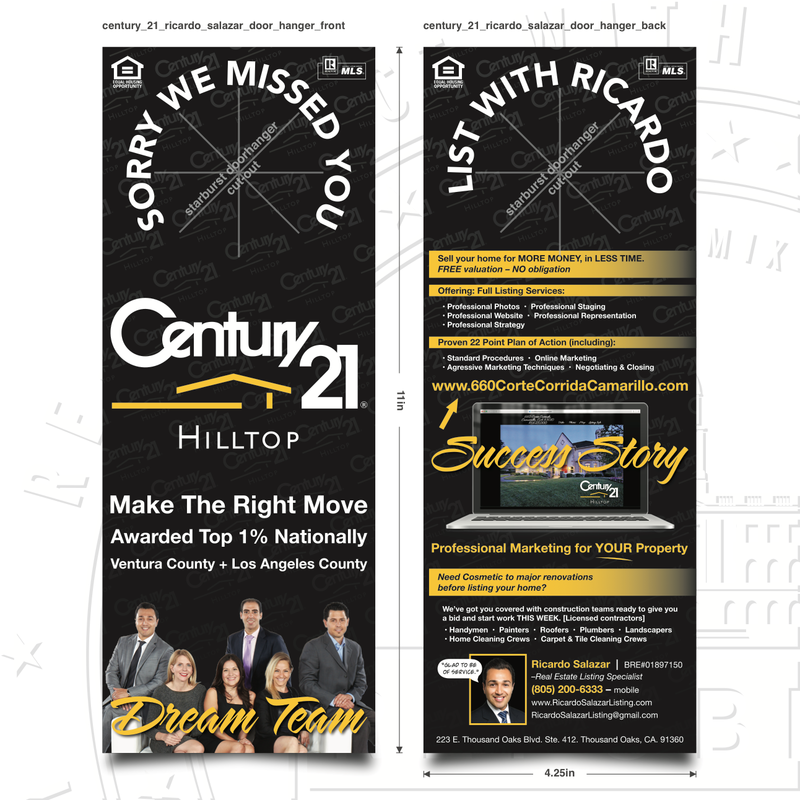 Real Estate Listing Specialist, Ricardo Salazar, asked we design and create a marketing piece he could use to reach-out to current and perspective home buyers and sellers. The beauty of this marketing piece is that it functions both when making face-to-face contact with current and perspective clients, as-well-as, when not making face-to-face contact. Simply put, ‘if nobody’s home, leave a door-hanger’. The door hangers accentuate Ricardo and his “Dream Team’s” strengths, accomplishments, well-wishes, services-offered, along-with ‘success stories’ of recent listings (like www.660cortecorridacamarillo.com) and all pertinent contact info.